All-inclusive, cheap Las Vegas wedding package just for the Bride and Groom, or for a couple of guests? They do exist! Getting married in Vegas on a budget, without all the fuss of guests (you may never meet again), never-ending (and off-putting!) ceremonies and frivolous expenses that burn a gaping hole in your pocket? 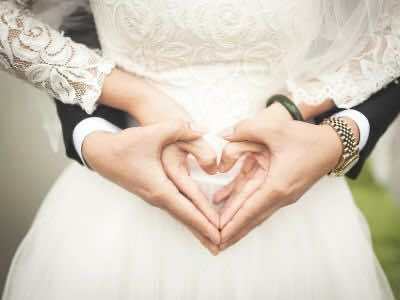 Well, look no further since we have compiled together 11 of the most unique, affordable Las Vegas wedding packages, priced from $62 to $325, you are ever likely to find around Sin City – ones which will let you get hitched, without any hitch whatsoever! The only prerequisite is a Marriage License from the Marriage Bureau, costing just $60, and you will have your cheap wedding in Las Vegas! A Special Memory Wedding Chapel is well known for offering this cool cheap Las Vegas wedding package - a drive-thru wedding, where you can get hitched, without leaving your car – yes it is that fast and simple! The basic package starts at a mere $62.49 where you get a drive-through ceremony with music; rose bouquet & boutonniere; 12 photos; and a certificate holder. You can upgrade to a supersize package starting at just $88.99 where apart from the above, you will also get 12 more photos (24 in all); ceremony DVD; private limo service; novelty license plate; and a 1-hour limo photo tour. What better venue than Graceland Wedding Chapel for your affordable, all inclusive cheap Las Vegas wedding package for two with Elvis impersonator as the minister? After all, this is a destination that has seen the real life weddings of stalwarts like Jon Bon Jovi and Billy Ray Cyrus. The Elvis wedding theme at Graceland Wedding Chapel comes in two attractive packages. 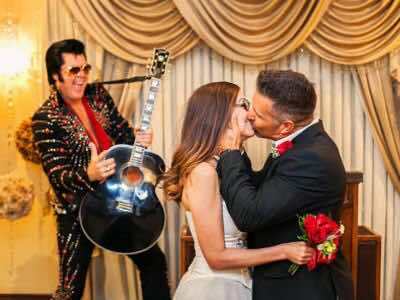 First you have the Loving You Wedding Package starting at $177.99 where Elvis will sing 3 songs for you – before, during and after the ceremony. There will also be a rose nosegay and a rose boutonniere. You will also be given 6 professional 4x6 size pictures and 1 8x10 picture. Then there is the Can’t Help Falling in Love Package starting at $231.99 where not only will Elvis sing for you as above, there will be 6 rose bouquets as well as a DVD of the ceremony, along with 2 5x7 pictures, over and above all that is included in the previous package, barring the rose nosegay. 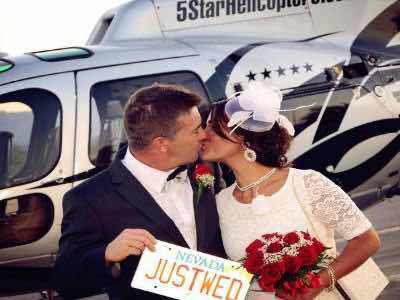 One of the more unique ways for couples seeking a cheap Las Vegas wedding is the Night Flight Helicopter Wedding Ceremony. Your romantic adventure into the night skies over Las Vegas begins with complimentary hotel pick-up service where you will be transported by limousine to the Boulder City Heliport. Here you will board an exclusive A-Star helicopter and soar over the incredible neon lit Strip. While you are in the air, you and your loved one will be married by a qualified minister as you take in the panoramic views below that include places like the Eiffel Tower, the Bellagio Fountains and the erupting volcano at the Mirage. After your ceremony you will indulge in a complimentary wedding cake with your loved one and toast each other with a glass of champagne. Other fantastic bonuses on this once-in-a-lifetime experience are a 12-rose bouquet and a boutonniere for the groom. Your unique wedding ceremony concludes when you are taken by limousine back to your Las Vegas hotel where your honeymoon begins. A Special Memory Wedding Chapel clearly champions the cause for an incredibly affordable and cheap Las Vegas wedding package in the traditional genre. The set of 3 packages in question here are referred to as A, B, and C.
The basic Package A starts at a mere $99.99 where you get a traditional ceremony that includes a single rose and boutonniere, along with 12 photos. Add-ons to this package would include the option to get hitched with Elvis as well as have a limo photo tour. Package B, starting at just $164.99, not only has the traditional ceremony in Package A included, it also features a 6 rose bouquet and boutonniere; twice as many photos (viz. 24); and a DVD of the ceremony. Package C, also starting at the same price as Package B, offers a candlelight ceremony; a 12 rose bouquet and boutonniere, 36 photos, a DVD of the ceremony; along with toasting glasses & champagne. Graceland Wedding Chapel - a venue that has not only seen the real life weddings of famous personalities such as Aaron Neville and Jon Bon Jovi, but also been the setting of movies such as Fear and Loathing in Las Vegas as well as The Hangover sure makes an excellent destination for your own wedding! Choose from 3 budget Las Vegas wedding packages for two – A, B, and C. A starts at $107.49 and includes a rose nosegay and rose boutonniere, along with 6 4x6 pictures and 1 8x10 picture. Cheap Las Vegas wedding package B, starting at $161.49 offers 6 rose bouquets, a rose boutonniere, a DVD of the ceremony, and pictures as in Package A, with 2 additional 5x7 pictures thrown in as well. Wedding package C starts at $215.49 and includes 12 rose cascades or hand tied bouquets, rose boutonniere, 9 4x6, 4 5x7 and 2 8x10 pictures, and a DVD of the ceremony. One of the oldest chapels in Las Vegas that has been around since 1940, the biggest draw of Wee Kirk O’ The Heather Chapel clearly lies in its cozy setting where small and intimate weddings can be performed with absolute élan! There are a number of packages on offer at Wee Kirk O’ The Heather Chapel among which you will definitely find the Simply I-Do Package, priced at a mere $87, really attractive! Apart from the actual marriage ceremony this cheap Las Vegas wedding package for up to 5 guests includes traditional wedding music; a souvenir wedding scroll; as well as a witness if required. Small in size and big in stature, Wee Kirk O’ The Heather Chapel has seen many a couple walk down the aisle onto eternal marital bliss! When it comes to small weddings with only the closest of folks around, this would surely make a perfect setting! The Vegas Easy Package for 8 guests at Wee Kirk O’ The Heather Chapel is priced at only $127 and offers all that the Simply I-Do cheap Las Vegas wedding package offers, and more, including professional photography whereby from among all the candid photos taken during the wedding ceremony, you can choose 5 images to be given to you in their digital form. Mon Bel Ami Wedding Chapel has clearly specialized in the provision of budget Las Vegas wedding packages. At the same time, the only thing really petite in the Le Petite cheap Las Vegas wedding package at Mon Bel is the price! After all, for a mere $189, you and up to 10 guests get a whole lot, including not only the actual Le Petite wedding ceremony but also music ensemble; matching boutonniere; choice of either the chapel or classic gazebo wedding venue; a special silk bouquet meant exclusively for the occasion; the provision of a wedding coordinator; as well as a professional photographer who would supply you up to 4 high res pictures taken during the wedding ceremony. The Stratosphere Casino, Hotel & Tower certainly takes things to all new heights (quite literally!!) with its Chapel in the Clouds where couples can take their happily ever after wedding vows, 1,149 feet above the city! Further, Chapel in the Clouds offers would-be couples with a wide variety of exciting yet quite affordable packages to choose from. Among them, Just the Two of Us is clearly a very popular cheap Las Vegas wedding package, especially thanks to the setting that it offers - on the Indoor or Outdoor Observation Decks which are located as high as Levels 108 and 109 of the tower! Without a doubt, this is an irresistible location to get hitched! OK, so you love Las Vegas as much – or more than we do, and because of that, can’t quite make up your mind on a particular location to get hitched at…why fret? The wonderful folks at Las Vegas Wedding Wagon can ensure a wedding in motion, across any part of Las Vegas! At just $129, Las Vegas Wedding Wagon clearly offers couples a really cheap Las Vegas wedding package, with the option to choose a date & time, location and ceremony for their wedding. Once confirmation and payment are in place, wedding vows can be exchanged at the chosen location where the Wedding Wagon, resplendent in its vivid purple hues, will make its colorful presence felt! Moreover, the above price of $129 includes 15 digital photos of the ceremony! Couples ready to take the leap into matrimony but don’t want the hassles of planning should check-out the Quickie Sign & Go a cheap Las Vegas Wedding at Paradise Wedding Chapel. Your 1-hour ceremony is perfect for couples that are on the go and want to spend more time exploring Sin City and the surrounding attractions. 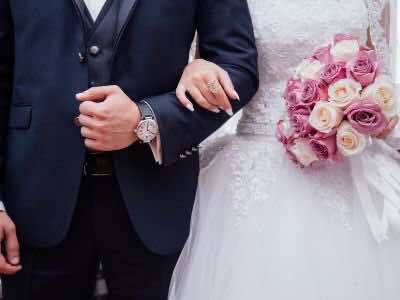 Before you arrive you will need to have your Nevada Marriage License which you can apply for and pick-up at the Nevada Marriage Bureau that is located a mere two minutes away from Paradise Wedding Chapel. Once inside the chapel, a licensed minister will sign your marriage license and then file your license for you with the Clark County Clerk. This is a base package geared toward no-frills and a quick in-n-out ceremony. Couples can add-on several other items from flowers to photographers to wedding vows as they choose for an additional cost at the chapel.